He’s fast becoming the king of corny jokes. 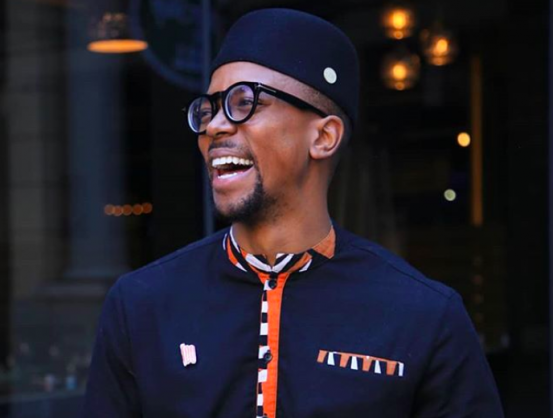 TV presenter and model Maps Maponyane seems to have politics on the brain after he made a political pun while commenting on an outfit work by controversial blogger Siya Beyile. Beyile posted an image of himself wearing a kaftan featuring colours often associated with the ruling party, to which Maponyane responded: “When they think you have swag but they ANC’n nothing yet” (ain’t seen nothing yet). The joke was an immediate hit with his followers who responded with puns of their own featuring the names of some of South African’s well known political parties. Like what DA EFF bro? ???? UDM me if you don't get the pun???????? I hope you copyright this… Someone will bite this soon… ???? Can't COPE with this colour blocking what the EFF is this ???????? What th EFF man did rob Homechoice ????‍♂️??? ?‍♂️ Hay I can't DA ???? Beyile gained notoriety after it was revealed that he hired a bevvy of models for a fashion week show that he organised in late 2017 and said models had never been paid for the work they were hired to do. Siya Beyile still hasn't paid the models??? Siya Beyile is on holiday ???? did the models get paid? So vele Siya Beyile is not planning on paying these models for shows that took place in August? Will Siya Beyile ever pay the models? Siya Beyile blocked me for asking him if he paid his models – Wish he could use the same energy to pay his models. Beyile was even accused of filing for bankruptcy to avoid making good on the payments he owed. So you guys say that Siya Beyile oke filled for bankruptcy? He isn’t trying to pay anyone ??? ?